VPEL's Integrated Annual Report-2017/18 was recognised the Bronze Award at the Annual Reports Awards 2018 under the category of Power and Energy Sector. The event organised by the Institute of Chartered Accountants of Sri Lanka (CA Sri Lanka) was held on 04th December, 2018 at the Shangri-La Hotel, Colombo under the patronage of the Governor of Central Bank Dr. Indrajit Coomaraswamy. 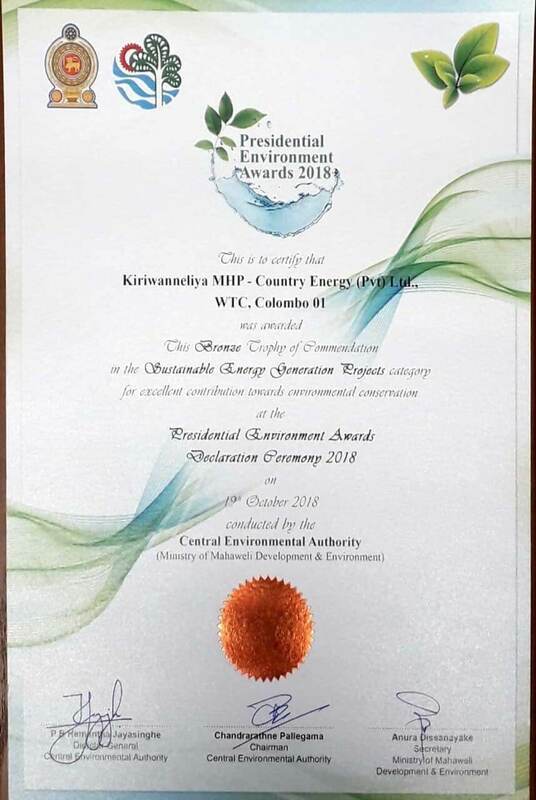 Kiriwaneliya Mini Hydro Power Project has won the Bronze Award under the Sustainable Energy Generation Project category at the Presidential Environment Awards 2018. 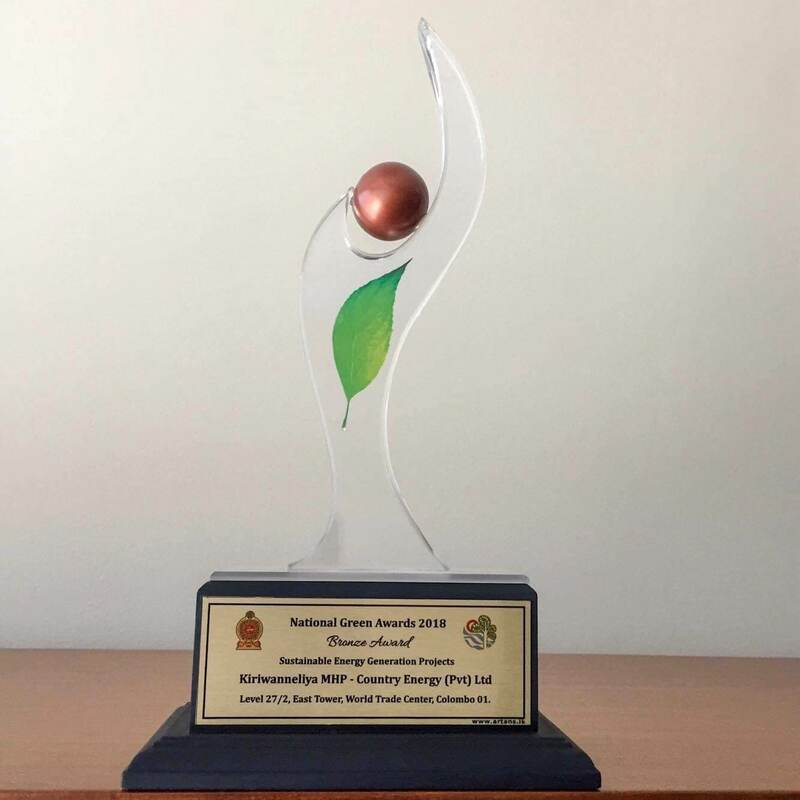 The award ceremony was organized by the Central Environment Authority in partnership with Ministry of Mahaweli Development & Environment on 19th October 2018. Singapore, 6 March: Vallibel Power Erathna PLC has won Asia’s best Integrated Report (SME) at the 4th Asia Sustainability Reporting Awards (ASRA) concluded in Singapore this evening. ASRA is the highest recognition for corporate reporting in the region. Senior business leaders from 13 countries turned up at the exclusive awards ceremony hosted by the British High Commissioner in Singapore H.E. Scott Wightman. The event was attended by dignitaries from diverse fields including academia, non-profit, embassies, trade associations and advocacy organisations. The Erathna MHPP's Standard Power Purchase Agreement (SPPA) entered into with Ceylon Electricity Board (CEB) will expire in July 2019 and as per the letter dated 17th of May 2018, the CEB has informed the Company another five years extension. 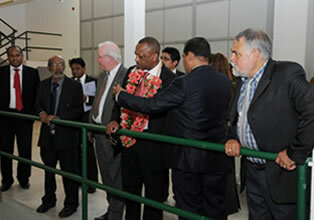 Further, as per Sri Lanka Sustainable Energy Authority (SEA) Act No 35 of 2007, at the end of 20 year period, the Board of SEA may, at request of the developer (Company) and in consultation with the Committee, extend the period of the validity of the permit by further period not exceeding another 20 years. However, Denawaka Ganga MHPP and Kiriwaneliya MHPP have a further 9 years of operation before their SPPAs falls due. 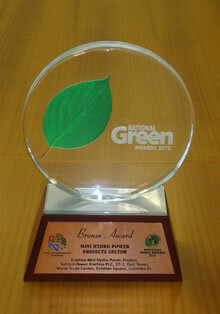 In vision of “A Clean & Green Environment Through Service Excellence,” Kiriwaneliya Mini Hydro Power Project was honored by the silver award under Renewable Energy Generation Project Category at the National Green Awards 2017. The project’s effort to make its operations more eco friendly has been acknowledged by the Central Environment Authority in collaboration with Ministry of Mahaweli Development & Environment on 16th of October 2017. 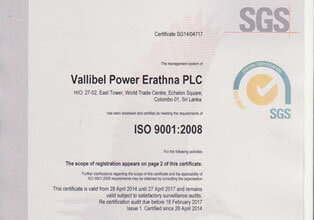 We are pleased to announce that Vallibel Power Erathna PLC has passed the second annual surveillance audit and was recommended to continue ISO 9001:2008 & ISO 14001:2004 Management System Certification. The audit was carried out by SGS Lanka (Pvt) Ltd affiliating with SGS United Kingdom Limited on January 19th 2016 at Erathna Mini Hydro Power Project. The result of this audit will help us in our preparations for the ISO 9001 & 14001 re-certification with the new version that has been published in 2015. Company was selected as one of the "Best Under a Billion" companies listed in the July issue of Forbes Asia 2015. 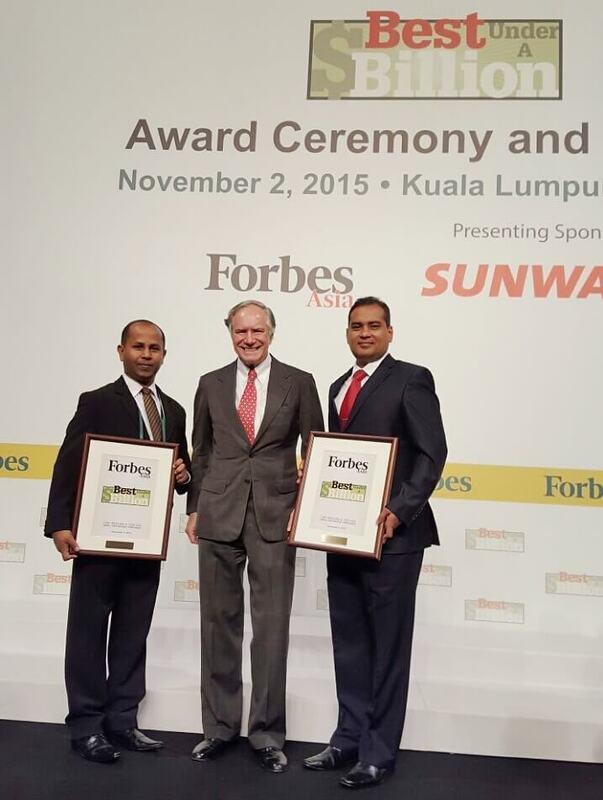 The Award was presented at the Award Ceremony held at Kuala Lumpur on November 2, 2015. 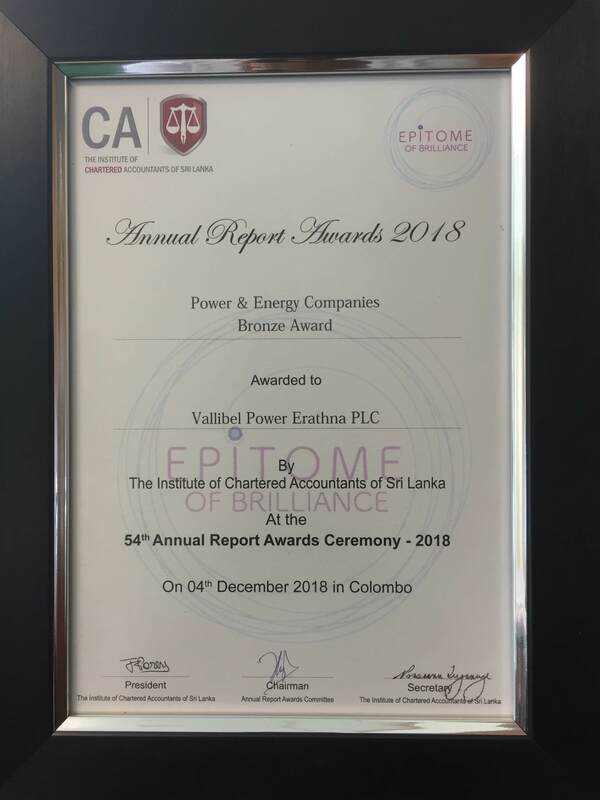 Only Vallibel Power Erathna PLC was selected this year from Sri Lanka for this award.